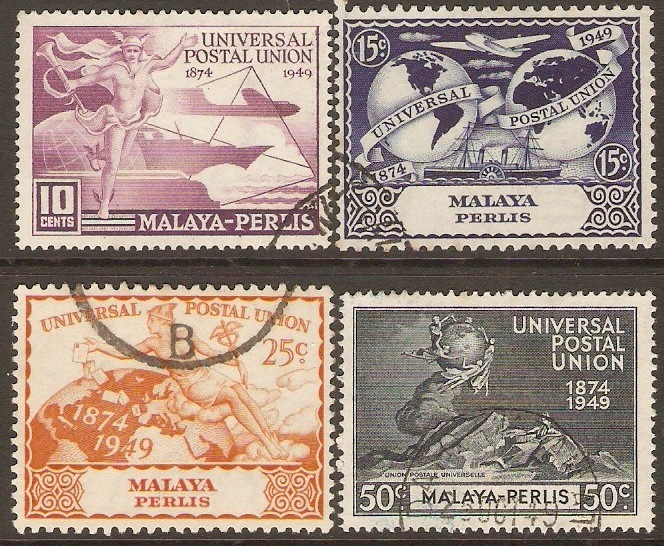 Perlis 1949 UPU 75th Anniversary Set. SG3-SG6. Unmounted mint 1949 UPU 75th Anniversary Set. SG3-SG6. Omnibus Stamp Set. NOTE: Some foxed perf tips on edge of 10c stamp. Fine used 1949 UPU 75th Anniversary Set. SG3-SG6. 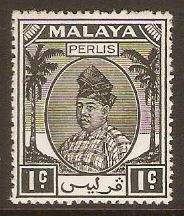 Perlis 1951 1c Black. SG7. Mounted mint 1951 1c Black. SG7. Raja Syed Putra definitive stamp. 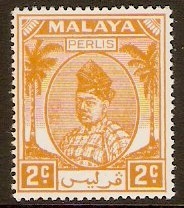 Perlis 1951 2c Orange. SG8. Mounted mint 1951 2c Orange. SG8. Raja Syed Putra definitive stamp. 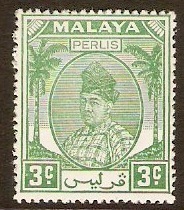 Perlis 1951 3c Green. SG9. Mounted mint 1951 3c Green. SG9. Raja Syed Putra definitive stamp. 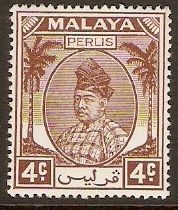 Perlis 1951 4c Brown. SG10. Mounted mint 1951 4c Brown. SG10. Raja Syed Putra definitive stamp. 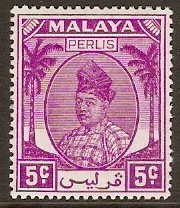 Perlis 1951 5c Bright purple. SG11. Mounted mint 1951 5c Bright purple. SG11. Raja Syed Putra definitive stamp. 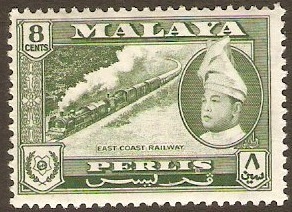 Perlis 1951 6c Grey. SG12. Mounted mint 1951 6c Grey. SG12. Raja Syed Putra definitive stamp. 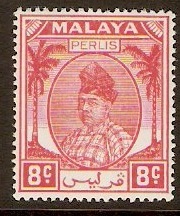 Perlis 1951 8c Scarlet. SG13. Mounted mint 1951 8c Scarlet. SG13. Raja Syed Putra definitive stamp. 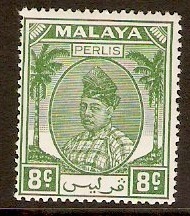 Perlis 1951 8c Green. SG14. Mounted mint 1951 8c Green. SG14. 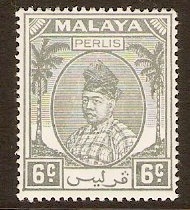 Raja Syed Putra definitive stamp.